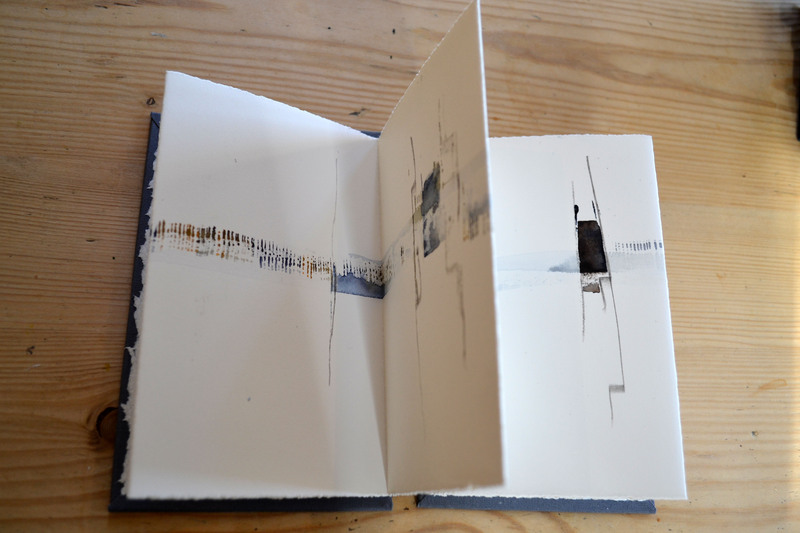 I wanted to get these drawings finished and bound before Christmas but time ran away with me …. however they are finished now and I am really pleased with them. 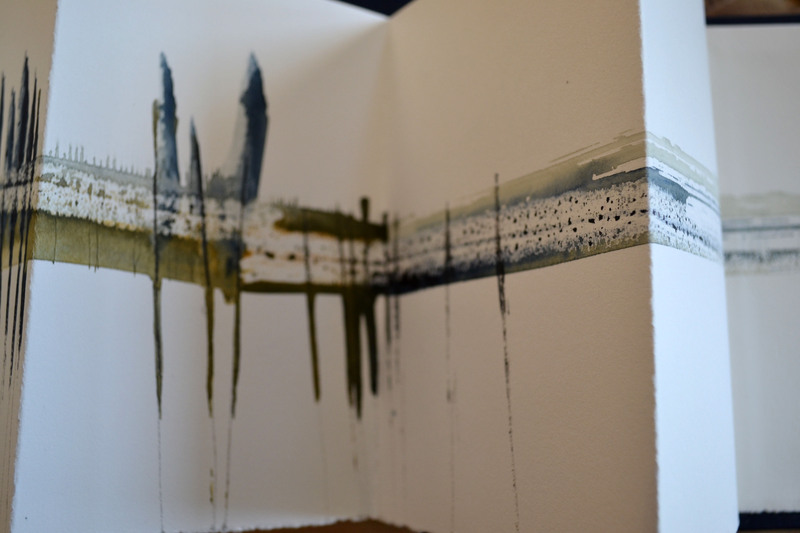 The drawings are based on musical graphic scores – a method of writing down sound through drawing rather than musical notation. They are inspired by the sounds I hear as I walk and explore the Norfolk coastline: birdsong, the wind, waves, footsteps. 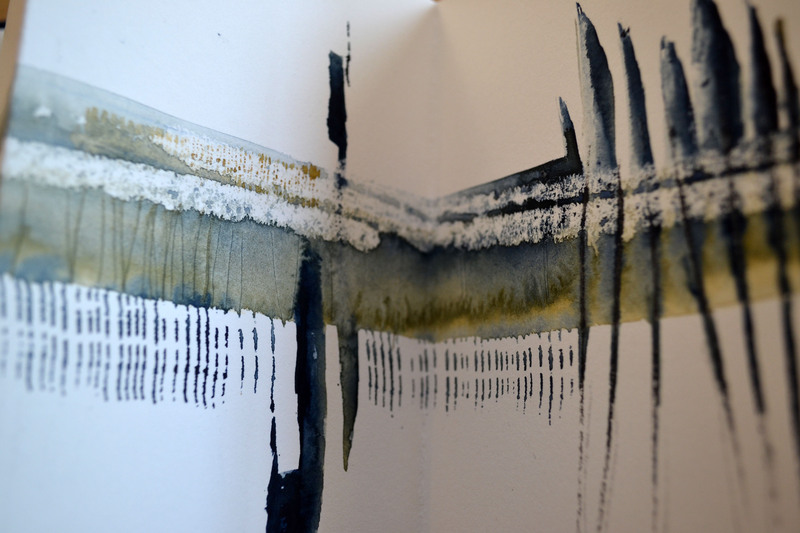 In these drawings I am connecting the repetitive and rhythmic elements that are contained within both the aural and visual landscape. 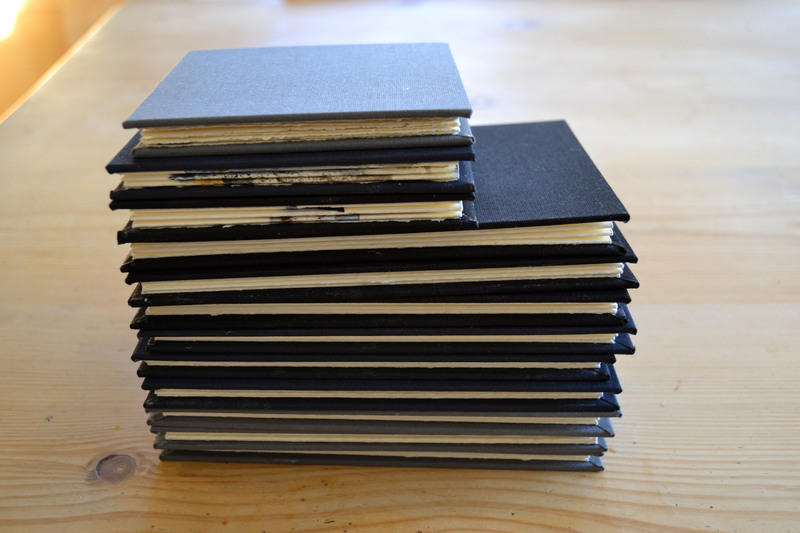 These little concertina books will be available for sale at my exhibition Caught by the Tide in March. This entry was posted in Uncategorized on January 10, 2014 by debbielyddon. These drawings are exquisite, they took my breath away, they portray beaches, water sound so well. Thanks Margaret. Good luck with the City and Guilds project! 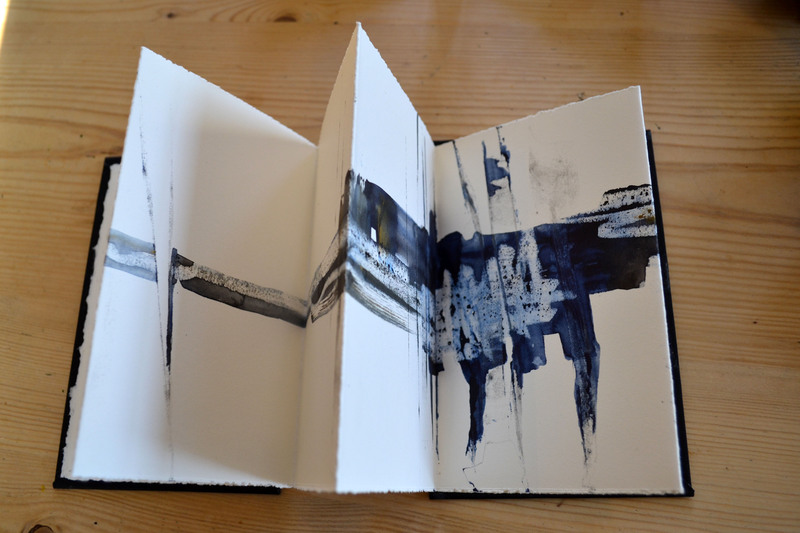 Your books are lovely, what an inspirational way to record memories of your walks. Breathtaking. The books are just exquisite. Wishing you a wonderful exhibition (and wishing I lived near enough to see it). Enjoy! I wish you lived nearer as well Jennifer, but I’ll be putting up quite a lot of the exhibition work in the next few weeks! Wow!! I am speechless at the clarity of the marks…I can “see” the sounds! Magnificently bound! i love these. very inspirational. I’d love to hear the sounds too. some quite subtle ones with a few loud crashing spurts? Thanks! The sounds are the wind, sea and other background noise and sudden, intermittent foreground sounds such as bird calls.